born with our help and care! We are modern, we are professional! We move forward with the times, work with the best doctors, equip ourselves with the newest technology and use a wide range of modern methods in the field of medicine, without forgetting to choose an individual approach for each patient. SVM-MED LLC is an officially registered company on the US territory, which guarantees our responsibility towards you. 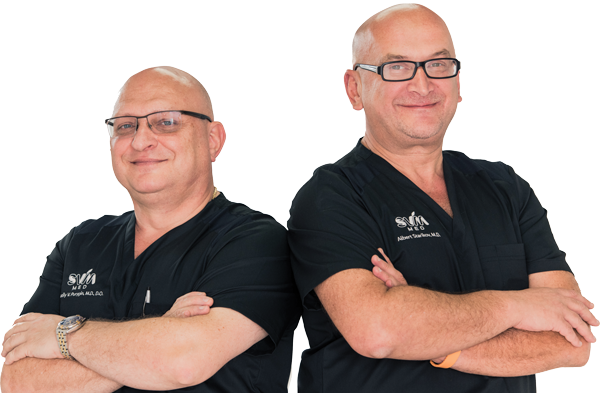 In fact, the founders of the Company, are the actual parents, all whom had previously gone through the childbirth process from A to Z independently in Miami. Therefore, our professional engagement is guaranteed, taking into account the smallest details in our approach. Our Company’s employees have more than 15 years of experience, working with different levels of customers. We know exactly what you need. SVM-MED LLC Company is fully transparent, in terms of working with clients and the price calculations for their services. The core values of our Company, true commitments of SVM-MED LLC and precise performance of the undertaken obligations allow us to build long-lasting and trusting relationships with our clients. Close Attention to Our Clients and High Quality Service – The Foundation of Our Successful Business.